Once again, this episode highlights the successes of one of our PIVOT Incubator family members. My team and I are so blessed to be connected with people of the highest caliber, with the utmost of integrity and with incredible missions that make a difference in the world. Trina is one of those people that we have the honor to collaborate with on many fronts. Trina is an entrepreneur, an Intuitive Medium and mentor who specializes in metaphysics, personal development and the healing arts. She pursues her multiple passions with a rare vigor that is not only inspiring …. it’s fascinating! 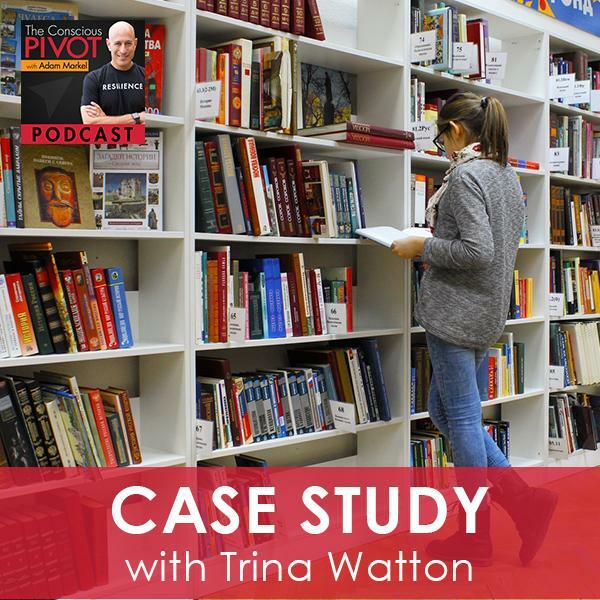 Enjoy as Trina shares her pivot story and the little gems that have fueled her success! I feel so blessed as always to be here. I’m not sure what you’re doing at the moment. Wherever it is that I’m meeting you right now, I’m meeting you in a place of gratitude. That is what I want to project out into the universe, that we all feel really grateful in this moment. That we feel connected to each other, and that we are in fact connected to each other, so it’s more a realization of truth. I experience spirit and God and the presence so much when I am connected to truth. Thank you so much for your presence in my life, and in the life of our community. I am blessed to not only be with you, but also to be with a dear friend and somebody that I absolutely adore and love so much. I get to share her with you. Her name is Trina Watton. We’re going to talk to Trina about her process of pivoting. She is a Pivoter, just like me, just like many of you are. With that pivoting and that process, there have been tough times, and there have been elegant and graceful times. We all know what it’s like to white knuckle, to be holding on to safety and security. When change calls, it’s called forth. We sometimes get into that state and that place of fear, and we tend to hold on, we get attached. That’s the white knuckle moments. They can be really powerful. Let’s take a deep conscious collective breath to gather and feel grateful and appreciative of this moment, and our togetherness in our connection in this moment. Regardless of whatever it is we’re talking about, whether it’s business-related, money, health, spirituality, anything at all, it is so vital that we be present. Gratitude gets us right to that place of presence. Thank you for being here. I’m grateful for all of you. With that I’m going to introduce this dear lovely lady, Trina Watton. Trina is somebody who has magic to share in the world. She has this intuitive ability and abilities to connect with people on a very deep level, to know what’s going on with them, to be able to explore that and get guidance and intuition about what’s happening with them in their lives. Even others in their family and others that have been with them in the physical life and those who have even passed on are still connected to them and still offer guidance, counsel, and instruction about how to live an even better life. She’s doing amazing work in the world. She also runs an incredible company called Blumvox. It’s an amazing enterprise that she’s in partnership with. Trina, welcome to The Conscious PIVOT Podcast. Thank you so much for having me. It’s an honor and I’m excited to spend this time with you always. We have such a great dynamic. Tell us a little bit about yourself and what are you currently really passionate about. I am a currently passionate about life. I’m passionate about supporting people in getting in touch with their authentic self, their authentic soul, and their authentic voice. The business that you mentioned, Blumvox Studios, I co-founded with my business partner, Steve Blum. He is a voice actor who specializes in voice acting. We are getting ready to launch an online teaching series. Our logo, actually our tagline, says, “Unleash your voice.”We love it so much because it encompasses so many things. For me, it’s multidimensional. It’s not only unleashing one’s speaking voice but it’s also unleashing one’s authentic voice and one’s truth. It bridges the gap between my entertainment life and my intuitive life. I’m also an intuitive medium and mentor. I’m a bridge between the invisible and the visible world, and so I’m able to communicate with loved ones on the other side, and I’m able to deliver messages of love and support for those that are looking for it and wanting it. What’s beautiful is I’m finding with my entertainment business and also my intuitive business that they’re really going hand in hand right now. It’s all about support, love, community, and being present to what people are wanting and what people are needing that they can step into their purpose and their calling. It’s great to be a conduit for that. I love it. You’re a part of our PIVOT Community. When we talked a year ago about your process, I had introduced you. I said to you, “It’d be great to get involved in a formal process for creating change.” The pivot process, in other words. Tell us what it was like or share with us what it was like getting started in the pivot process. I was excited. I was so ready because I am a visionary. I see a lot of things and I get excited about a lot of things, and I want to do a lot of things. I want to achieve everything and beyond. What I was missing was baby steps and structure. When Pivot came into my path, I broke down in tears. It felt like an answered prayer and it felt like a natural next step for me because I needed to learn the art of slowing down, like really truly slowing down and taking bite-sized pieces towards my vision and my dream. Pivot has helped me significantly in that I’m a completely different person a year later than I was when I started with Pivot. It’s interesting because for a lot of people, including myself, when we think that we’ve got to take a huge bite of something, it’s daunting. It almost stops the process cold. We think, “I can’t possibly do that. How on earth will I take that huge bite out of this thing I want in my life?” There’s also the question of, “If I do that, what am I risking in the process?”We all deal with that. The worst part of it probably is the fact that it stops people from ever getting started. What was the hardest part for you about getting started? Case Study: I realized that I don’t have to do it all at once because that “all at once” thinking is what debilitated me for so many years. The hardest part for me about getting started was getting started in a real focused way. I’ve been very blessed in my life. I’ve always attracted clients through word of mouth throughout my work history in life. Things came easy to me, in some ways, because of it. To take myself to the next level and to take my business with Steve to the next level and our beautiful team, I needed focus and I needed discipline. For me, to get started in a disciplined way was the biggest challenge. It’s become the most beautiful blessing because things make sense. I realized that I don’t have to do it all at once because that “all at once” thinking is what debilitated me for so many years. Not just say that I wasn’t productive, because I was, but I wasn’t productive in a way that would actually fulfill my vision and my dream for my life. The Pivot process created structure, discipline, and a focus for you? It’s one of those things that is profound for all of us when we are able to create some better result as a result of doing things in a process-driven way, in a structured way. I’m a fiercely independent person. My freedom is everything to me. Freedom of thinking, freedom of movement, freedom of what I want to do with my days. It’s all of that , and yet, and I know at the heart of it, it’s the harmony between the freedom and liberty and the structure and process. The seasons don’t just decide. The universe or Mother Nature doesn’t just decide, “This year, maybe we won’t have spring. It’d be so much more fun to not have spring. Don’t do you think it would actually be fun to watch all those humans just waiting for spring, and then spring never shows up? Now I’ve caught them off guard. It’d be so much fun because it’s so boring. Every year it’s the same thing, the flowers come out, and the bunnies, and then the weather gets warmer. It’s so predictable.” Mother Nature doesn’t do that. To have freedom in the midst of structure, of process, of things that are foundational is super powerful. Thank you for sharing that. At a certain point in the process, did you feel as though you reached a tipping point? What did that moment feel like for you? While you were going through the pivot work, was there a place where you felt you’d reached a positive tipping point? For some, people it wasn’t just one point, it was a series of things. There are multiple tipping points weekly. It’s a consistent unfoldment of myself and a consistent practice in wanting to uncover my own personal roadblocks. I would say myself-love and my self-care was the biggest block, the feeling that I’m worthy and that I’m enough. For me, that precedes anything that I’m doing. If I’m not in alignment with myself then I’m not in alignment with anything I’m doing. For me, really understanding the art of ritual, understanding that it makes us resilient, the self-nurture, the self-love, the self-care, but really the self-nurturing, I really have learned how to support myself differently and to not judge myself now when I make mistakes. I celebrate them when in the past, I would judge them. Pivot has given me the freedom to be myself, and it’s given me the freedom to fall on my face and get back up again and again, and it’s easier each time I get up. That’s a beautiful blessing. Words really can’t express how much it’s meant to me to be working with you and to be able to find my own voice within me for myself that’s one of love, kindness and compassion. Are there other things that you noticed throughout the process about yourself? We think on some level that we’re incapable of changing. It’s the old adage that an old dog can’t learn new tricks. There’s still that thing that sits in the back of my mind even that says, “Can I really learn something new? Can I really change? Will I always revert back to the default mode?” In this process you get challenged quite a bit and confronted. What did you notice about yourself during the process? I definitely got in touch with my duality. I have made friends with my shadow self. It’s a joyous process because I’m on the other side. I had a good solid month of a dark night of the soul. I didn’t know if I was going to come out on the other side. The transformational work, it’s a continuous unfoldment and a continuous reinvention of self. Some of my old behaviors and my old thought patterns came back into play, and they were really strong because of my outside triggers, family, and some work challenges that we’ve been going through. For me, I was able to come face to face with myself and I was able to get really honest with myself. There was a moment where I had the remembrance that this is temporary, this isn’t forever, and the ritual is going to get me through this. I was able to literally mantra my stuff and mantra my way out of my darkness and my old behavior pattern. I know it’s going to come back, but I now know that I can recognize it and I can do something different. I changed my mindset by jumping into a 40-day Kundalini Yoga practice. It’s transformative and it’s in conjunction with doing the pivot work. It’s a daily practice. It’s in every single day, every single moment practice that’s never going to end. I might as well embrace it and just celebrate the never-ending unfoldment of myself. It’s really truly making friends with my shadow and making friends with my strengths and my weaknesses. The deepest teaching I’ve gotten that have been priceless for me is realizing when I’m self-sacrificing versus self-loving, and realizing when I’m not telling my real truth is because I’m protecting someone. I’m sacrificing myself by not sharing the real truth on my heart because I don’t want to hurt someone’s feelings, instead of realizing if I actually communicate the truth on my heart, it actually may support them, and it supports me, and it creates a much deeper authentic connection and communication. I’m finding that it’s really been great for me personally and professionally. Pivot and reinvention is not a one-done thing. We’re not going to pivot once or reinvent once. It’s a process that we repeat over and over again, almost the way the seasons change and how cyclical it is in mother nature. Things do cycle through and repeat themselves. When you find yourself in the spin cycle, you had tools, skills, and things that we’ve learned and started practicing already that we’re able to take you out of the cycle sooner. You were able to mantra your way out of your way. We need to create rituals for ourselves that help us to show up even better in our lives. Our lives aren’t likely to get less complicated. More often, they get more complicated, especially when you want to do more things. When you want to have a business, that’ll add complication. You want to take on a new challenge. You want to pivot in your career. There are so many people in part of this community that are wanting to make a career change, that are the working on their self-improvement or are wanting to learn how to change their lives in some way. Any of those explorations are going to complicate the picture. They will also enliven and make that picture so much richer, but it will also trigger the shadow and the part of the self that learned so early on about the world, and their place in the world and about their worth. All this stuff of childhood, the concerns about self-worth and the lack of understanding and having a real accurate, truthful definition of love, especially self-love, is something that will get triggered in the process as well. What you said at the very beginning was to show up in all those situations without judgment. I’d love to know, as I know a lot of people do, the results in business. Can you talk about some of the results in your personal life? What results did you start to produce in your business as a result of the things that we’ve been working on in the pivot process? What’s amazing is that we have a really cohesive team now and we are on the same page. I would like for all my teammates to do the pivot process so that we can speak the same language even more. I’m in constant life review and I’m always doing transformational work in one way, shape, or form. I would love to be able to do this work with my team. However, they are all so amazing and able to self-lead, which is bringing us to this new space in our business and our launch. It’s exciting because we had no idea how in-depth the process of building a website is until we actually began to do it together. What’s been fantastic is we’re creating a community, so we began a community on Facebook. It’s really awakened all of us to the vision that we didn’t even know that we had for our business and the outreach. We are worldwide. My business partner, Steve Blum, has been a voice actor for over 25 years. If I communicate the truth on my heart, it supports me and it creates a much deeper authentic connection and communication. What are some of the characters that Steve does? People are going to know him whether they know it or not. He’s done thousands and thousands of characters. Starscream from Transformers Prime. He plays Shoe in Boxtrolls. He’s Wolverine in Wolverine and the X-Men. He plays Zeb Orrelios in Star Wars. He actually started in Japanese animation. He got his start just through a friend saying, “Would you be willing to record a few lines for some lunch?” He has such a beautiful resonant voice, and literally history started from there. It was Japanese animation. His best-known show is called Cowboy Bebop and the character that he’s mostly known for is Spike Spiegel. He’s also got a show on Adult Swim, it’s called Toonami. He plays Tom. I think you saw him. I saw him at Comic Con in San Diego as Tom. He was dressed up as Tom. He was not so happy about that, but the costume was giving him a challenge. The head gear was the problem that night. What’s been amazing is he’s done radio, TV, and film, and he’s been in well over 500 video games. What’s been amazing is his outreach is far and wide and his voice children grew up on. His voice, Vietnam vets have listened to, and soldiers in Iraq and Iran. The amount of fan mail and emails that we get and comments about how a show that he did, a line that he said, or game that he was in, how it saved their life in one way, shape, or form, and who he is as a person, how it changed the trajectory of their life, because they felt cared for and listened to, and honored. It’s amazing because this community that throughout the years that Steve has been able to cultivate, we’re now able to harness and bring into our community. We’re able to touch them directly, and it’s amazing. It’s teaching me every single day. We get fans with autism, Asperger’s, those that feel like they’re a recluse, and those that feel like they’re unloved or they don’t have much family. They reach out to us because they feel supported, they feel cared about, and they feel heard, and it’s amazing. We’re really excited for this journey that’s unfolding for us. In some ways, it doesn’t feel like a business. It just feels like a genuine honor, pleasure, and privilege that we can support them and that we can be there for them. We can also create a platform for them to share their gifts and their talent. You have this great clarity of your vision that’s very purpose-driven and dialed in on why you do this. That’s probably part of why it doesn’t feel like a business or a job. It’s so purposeful. You have this clear vision and big hairy, audacious goals. How did the process that we’ve been talking about assist you in being committed and staying committed and accountable to those goals? Did it support you there? Yes. I was able to really gain clarity on my partnership with Steve, and I know that it’s given him some clarity. He’s learned the pivot process through proxy of me. He doesn’t have a choice because it’s what I’m doing every single day. He wants to be in partnership with me that we got to pivot together. We have to unfold together. He and I went through some tumultuous times, to be honest. We were not sure if we were going to actually start the company. Once we were able to get on the same page, everything shifted and everything changed. We have the amazing loving support of More Love Media, which I can’t imagine life without, because they’ve been so amazing. Chelsea, Deanna, and Yale have been so amazing in supporting us and supporting our vision. To them it might seem like baby steps but for us it feels like huge bites. With our business, it’s a daily unfoldment. Every day there’s something new. Every day something comes up. What’s really cool too is that we’re allowing the community to unfold with us and to give us the direction of where they want us to go. Our primary intention is to support them, to love them, and to be able to give them a platform so they can be their authentic self and their authentic voice. You’re in a really great place right now. This is a wonderful start of a new year. Having put in a lot of work, you guys have put in so much committed time. Sometimes we talk about difference between interest in something and commitment in something. I Interest is often what it is we do, will do, or willing to do that’s convenient for us, that fits in our schedule and it doesn’t cause too much disruption. Committed is a whole different energy. This is willing to go the extra mile and do whatever it takes. The inconvenience, doing stuff when you’re not feeling like it, when your mood doesn’t say that you want to do it, or when it’s not going to fit in your calendar or even fit in your budget necessarily, it puts you on the edge of your comfort. That’s commitment. It’s a different energy and it produces different results predictably so. That’s one of those things I get to look at in my seat, which is great because I get to see all the Pivoters in their case studies of what they’re doing with the work. Where there’s this level of commitment, there’s this level of results that’s so different than when folks are dabbling. They’re checking stuff out and they’re interested, and they’re curious, and that’s great. Start anywhere versus not starting at all. There’s this other tipping point that comes when you’re no longer in your own way in your head and by how you also act as well. For those thinking to themselves, “I’d love to get started in a process like this,” what would you say to them? What would you say to somebody that is thinking about getting started in a process, whether it’s pivot or some other process, to help them to create some of the things that you’ve been talking about, that this foundation for growth and for utilizing things in their life and in their business, changing and utilizing the change for the better. What would you say to somebody that’s considering getting started in that type of endeavor? Do it because your life depends on it. Do it because your business depends on it. It’s really important to get support and to be in a community of like-minded folks and to be surrounded by those of us that are inspired to continue unfolding our soul, unfolding our self, and unfolding our life, that the dreams that we have for ourselves are actually real. Sometimes we need support to get there because we don’t know how to realize it ourselves. To be in a community that can really hold that vision for us until we can get there is priceless. I wouldn’t be where I’m at without the community this past year. We all need support. It’s certainly true for myself. It’s true for a great vast group of people that support is not easy to ask for. That’s one of the things we didn’t expect actually. We knew that the process works and would be impactful since we’d been practicing it, doing it, and teaching it in various places for years. ,. What we didn’t predict was the quality and the value of the community itself. Which is why when it came to the marketing side, we were giving you some guidance about creating a community because the rich rewards of the community are incalculable. They’re unpredictable and they will guide the ship on some level as well. If you ask them, they will tell you what it is they actually want. What’s better than to be in the kitchen and have the ingredients, and trust in yourself and in faith and confidence in your ability to cook, and then ask your patrons, “What would you actually like for us to cook you? What’s the meal you want?” When two-thirds of those folks are saying, “We want this,” “I love to cook that.” It makes it on the menu. Case Study: Our primary intention is to support them, to love them, and to be able to give them a platform so they can be their authentic self and their authentic voice. The greatest opportunity we have is to pay attention, listen, and then serve that relationship at our fullest. It’s all about relationship. Community is just another word for relationship. In that relationship, we leave nobody behind. There’s nobody that’s left. I love the fact that we get to share even with a wider community some of the things that you’ve been up to, Trina. I know you’ve just taken on a mentoring client. That’s a new area of business and exploration for you. You have just shown up in such massive ways. I absolutely adore you. I love you. You’re somebody that I feel so blessed that you’re in my personal little community and then the little wider community of my family and our PIVOT community, and the community of the world. I feel blessed that you’re doing what you’re doing in service to the people. Thank you so much. It’s been so profound to be a part of your world and your community. I have life-long friends from our pivot class. I’m so excited that I was part of the very first class. I’m still friends with many of them and we touch base regularly. It’s great. We like to keep up and my friends call to catch up with each other and see how we’re doing. You, Randi, and the team created that for us and gave us that container. It’s a safe container and a safe place where we can really be vulnerable and be on our knees even. We know that we can reach out and that we’re not going to be judged, we’re not going to be shunned or turned away. In fact we’re embrace even more. When I’ve felt like at my lowest, I feel more embraced and more loved than I have throughout most of my life. The fact that you guys have created such a powerful platform is something I think deserves to be screamed on mountain tops that everyone should experience. Thank you. I hope that you have enjoyed this wonderful conversation and that you yourself are in some stage of change. We all are. It’s nature, we can’t deny it. We just have an opportunity every moment to embrace it, to embody it, utilize it, and that’s a gift. If you have enjoyed this and other podcasts, feel free to subscribe. You can go to AdamMarkel.com and subscribe to the podcast there. Also, if you feel called to leaving a review on iTunes, please do that. We love those five-star reviews. You can share it with other people as well. Let’s talk about the community, because we’ve got some great resources that are available to you. I’ll give you a few of those resources if you are wanting to explore your pivot, and see whether or not you’re in the middle of one right now and one is on the horizon. There are six questions to kickstart that inquiry, and you can get those free questions by going to StartMyPIVOT.com. It will give you an access point to that. If you want to join our Facebook community, it’s also called the Start My PIVOT Community on Facebook, and you can go direct to that community through Facebook, or you can go to PivotFB.com and that’ll take you right to the front door, where you’ll answer a couple of questions and then we’ll give you access, because we curate that community which is super special. If the conversation we’ve had today also has you curious about the pivot process itself, and you’d like to find out more about that, you can go to PivotIncubator.com/Join. 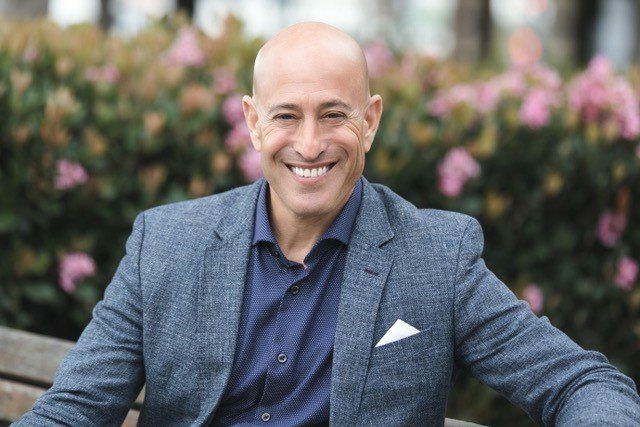 You can get information and find out more about the stories of people that have pivoted in their businesses and their entrepreneurial pursuits, as well as health and other areas of their relationships and their personal life. We welcome all of your feedback as always, and we love you. To be in a community that can hold that vision for us until we can get there is priceless. The last thing that I will say as we end is a reminder, a reminder to myself and to all of you, that our first job, the first responsibility that we have truly is to love ourselves, to learn how to love ourselves unconditionally. If I’m waving my magic wand, my wish, my prayer, and my expectation is that all of you will wake up tomorrow. There’s three parts to this ritual. They’ve supported me for a lot of years now. I believe that the quality of our lives is equal to the quality of our rituals, the consciously-created habits that we’ve cultivated. Tomorrow, step one, we wake up. That’s the blessing of blessings. We get to wake up, and that’s waking up our mind and our consciousness, and even our spirit. We get to physically wake up, knowing in that moment that as we wake, as we take our first conscious breath of the day, there are people right then in that moment taking their very last breath of the day. We can feel grateful, regardless of what may be happening in our lives, the good, the bad, and the ugly. In that moment, we get to be grateful and be genuine about it. If you feel like it, you stand up and declare out loud, “I love my life, I love my life, I love my life.” You do that 21 days and you’ve got something going. By 60, 70 days it’s become quite a master habit, and then you blink your eyes like me and it’s eight years later and you’re still doing it. It must be good for something. I wish you all a beautiful rest of your day or evening, and much love. Ciao for now. We’ll see you soon.